Dark pink is a lively color, which makes it the perfect tone to represent the intrinsic vitality of Spring. From a color science perspective, pink is literally red mixed with white, and like its close relative red, it is undeniably bold and eye-catching. Because it is diluted by white, though, pink is a more subdued version yet still adds that same pop of color. Pairing it with the ubiquitous neutral tan helps to balance out the brightness and lets your dark pink shine in any outfit. 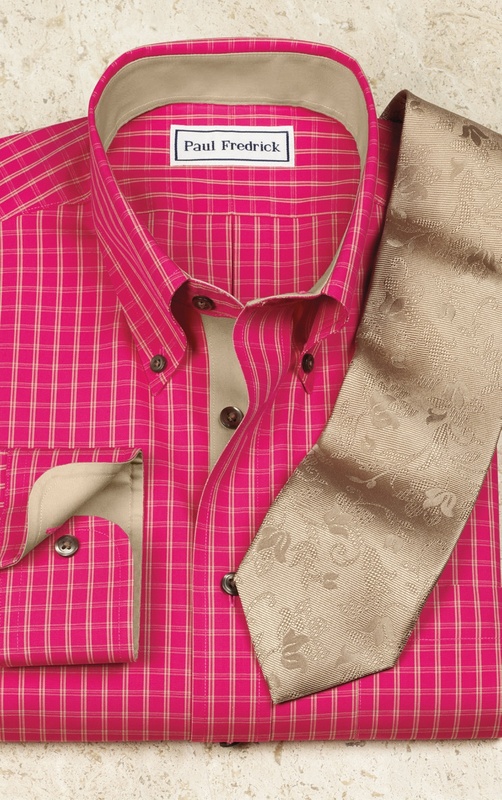 Since it is still quite bold, try to keep pink as a smaller portion of your outfit, and use tan for the majority. This combination also pairs well with white, green, khaki, and brown. If you’re feeling like the previous colors were a little too “out there” for your style, this combination might be a much better match. Aqua is a slightly green-toned blue that is just as fresh but not nearly as showy as dark pink; since it is a shade of blue, it is intrinsically calming and is appropriate for even more conservative environments. Grey is a wonderful counterpart to aqua, as it emphasizes the richness of that tone by providing a neutral backdrop. Both colors pair well with silver accents, shades of brown (especially the grey-tinged taupe), navy, and of course, white. Coral and azure blue is another of the cheerful combinations we’re offering for Spring 2017. Coral is essentially a pinkish or slightly reddish orange, which makes it a more wearable version since it’s softer and thus more palatable than standard orange. Its warm palette means it is an ideal tone to wear during the warmer months. Azure blue is a lighter, slightly grey-toned blue that is an excellent match for coral, since orange and blue are complementary colors and for this reason they provide balance to each other. 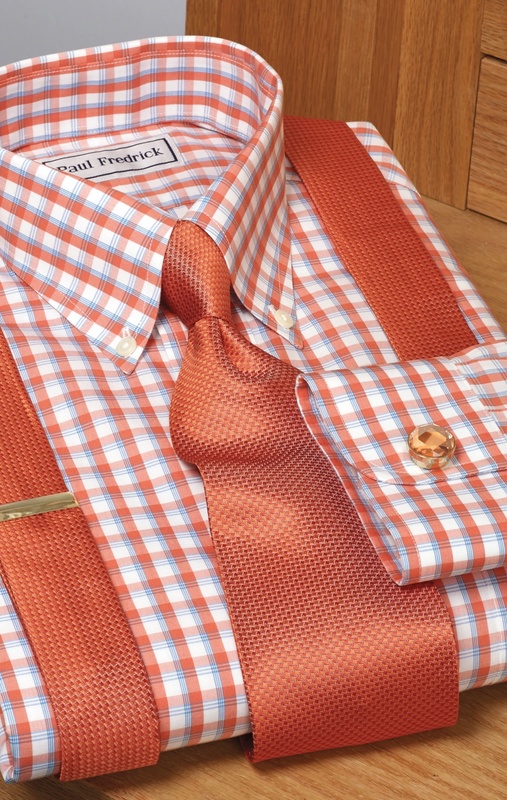 Coral and azure blue can be worn with white, navy, taupe, and brown, and they work best with gold accents. 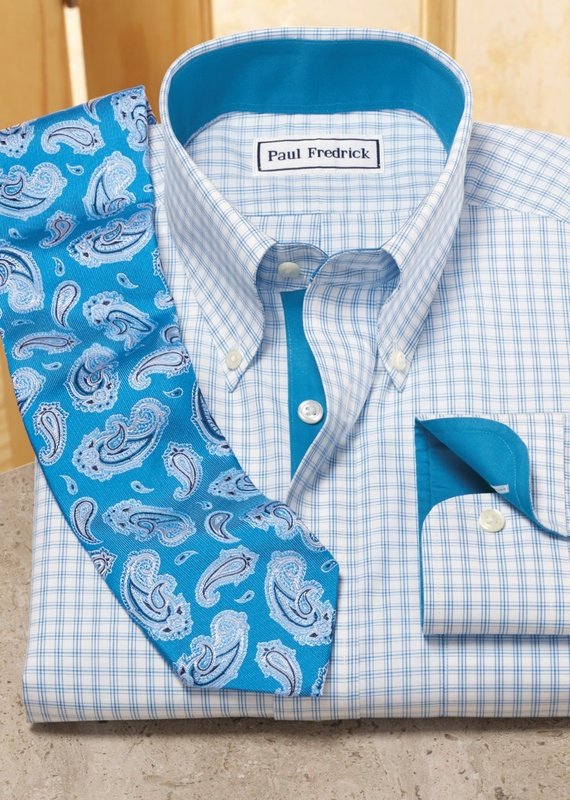 Did we miss your favorite Spring combinations? Comment them below! Please add long rise trousers, shorts, and casual pants to your wonderful lines for men. Please. Suzanne, we will certainly pass your suggestion on to our merchandising team!